Thanks to curators Kate Gilbert and Jennifer Epstein, I'll be included in the next Sting! exhibition at The Beehive. In the 20th edition of the series, Animal Instinct features nine artists whose work explores the wild side of humanity. 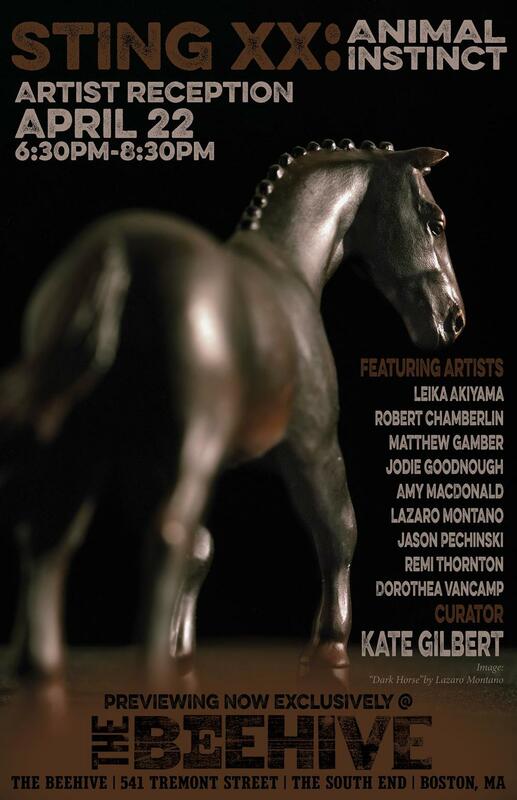 There is an opening reception on April 22nd, at 6:30pm. Hope to see you there!